This thing has more bare legs than a Rockettes review. The film opens with a manager inspecting all of the hotel’s maids, front and backside. He seems less interested in girls than the girls seem interested in him. Ginger Rogers, ever dismissive, casually punches a girl in the face who questions her. 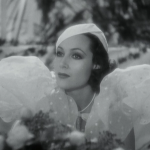 The final dance sequence features a brief scene where a line of dancers suffer from a parachute malfunction. Luckily, it’s not that they don’t open, just that the parachutes rip off their clothes. 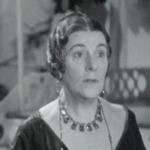 One of the fun things about looking at early sound movies is that you pretty much see the entire template of musicals for decades after defined in a few short years. From 1927 to 1930, you had the classic revue style talking hold, often stagy and filled with songs sung directly to the audience. 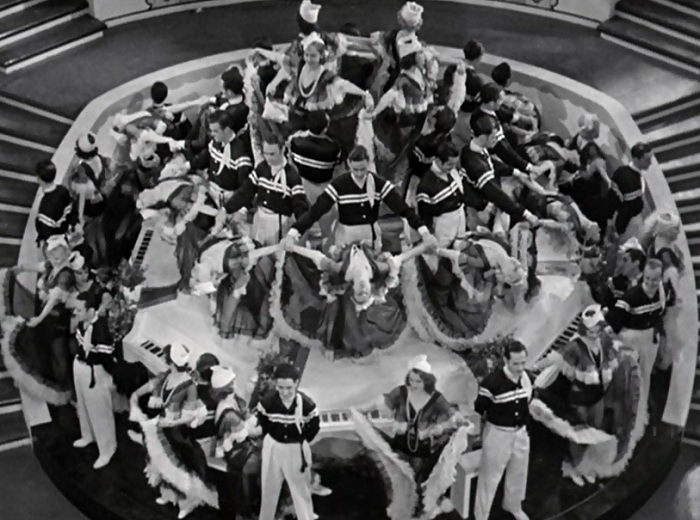 Next you had the Busby Berkeley visual extravaganzas that took hold at Warner Brothers in ’32, using dream logic and special effects while slinging saucy innuendos by the fistful. Flying Down to Rio is built to cash in on the Berkeley film’s successes, filled with elaborate routines and a fantastical atmosphere, but the movie features one unusually potent ingredient that would come to dominate musicals for decades after: the dancing. 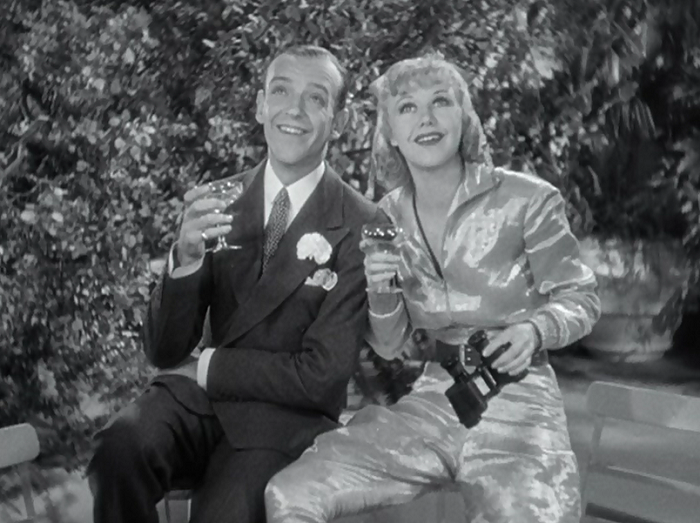 That’s because this is the first feature pairing Fred Astaire and Ginger Rogers, two of the brightest stars of late-30s films. 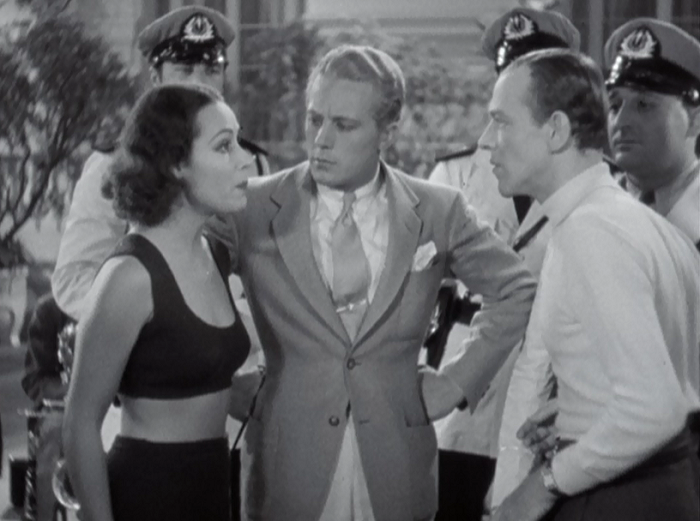 Together here, fourth and fifth billed, they practically waltz off with the movie from its stars, taking a number called “The Carioca” and turning it into a sensation. But let’s remove Flying Down to Rio from its place as a stepping stone to cinematic history and take a closer look. The film’s plot itself is creakier than most of the preceding thirty years of cinema: a band leader with a roving eye sets his sights on a fiery Brazilian girl. Unfortunately, she’s already engaged to his best friend. Who will the girl go with– our handsome white rogue or the steady but concerned foreigner? It’s almost ridiculous how uninvolving the main plot is. Front man Gene Raymond, while certainly muscular and good natured, is stuck being a Lothario and not much else. 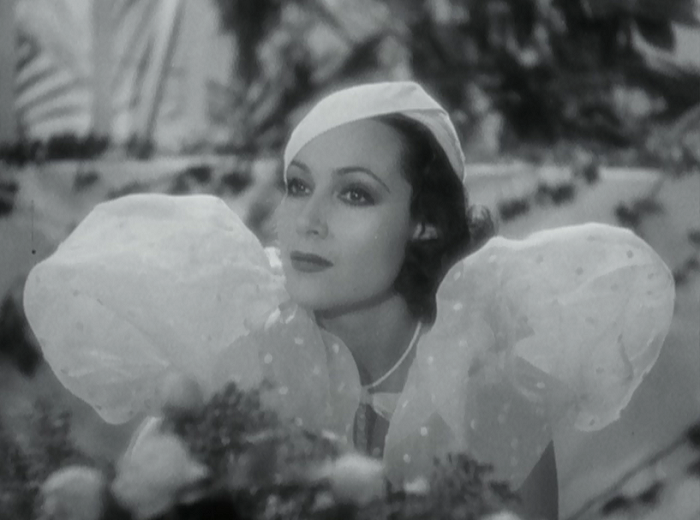 Dolores Del Rio, the beautiful actress, is beautiful with a smile that could kill, but is pretty much just jostled by machinations. Raul Roulien’s character is at the crap end of the triangle and probably the most sympathetic of the three, though he too is trapped in a movie that thinks less of the guy who does the noble thing and more of the guy who gets the girl by virtue of simply wanting her more. 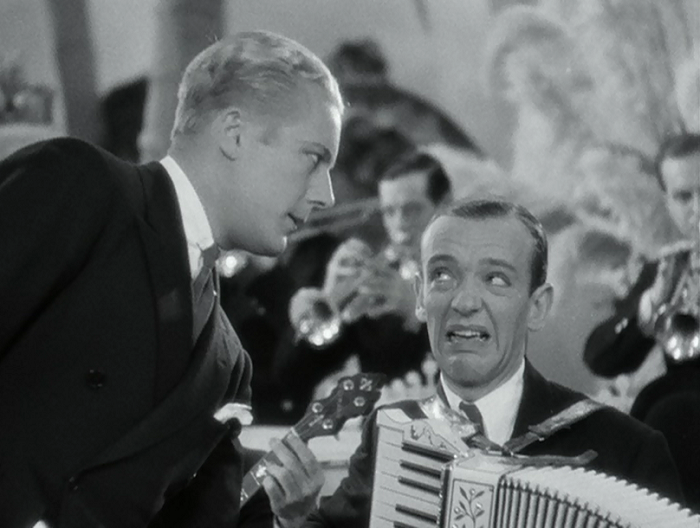 And that plot is probably why Flying Down to Rio is rarely regarded highly in the Astaire and Rogers canon, as the film lurches to a stop when the romantic teeth gnashing begins. There’s no tension and Del Rio and Raymond lack the chemistry to overcome it. Those are interesting overalls, Dolores. That being said, for a 90 minute movie, that plot barely clogs up a third of it. 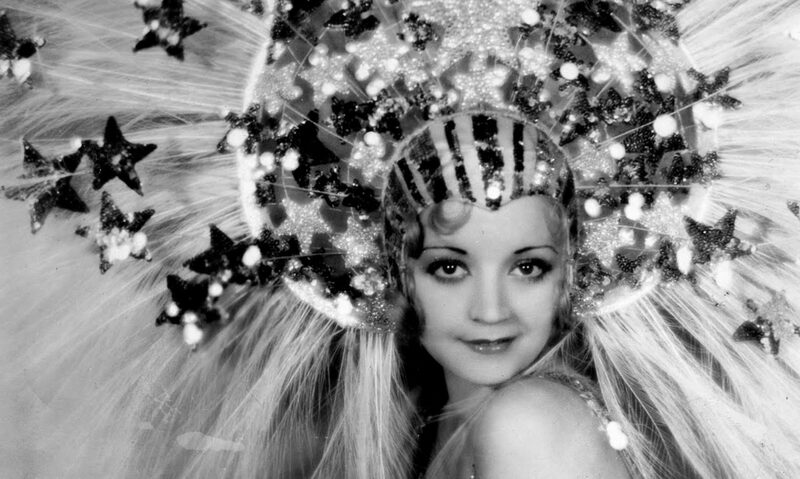 Most of the time is occupied with elaborate musical set pieces, with the finale, a spectacular over-the-top aerial ballet with chorus girls arranged on airplanes and boogieing to the titular musical number, being especially grandiose. Ludicrous, yes, but deliriously enjoyable. The only other number to match it is the aforementioned “Carioca”, which showcases a lengthy dance number that involves touching foreheads and thoughts that will apparently make you blush. 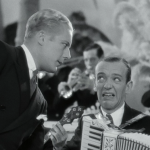 Rogers and Astaire get their only chance to tear up the carpet here, and the beautiful effortlessness behind their brief shining moment is tantalizing to say the least. The film’s pre-Code content is easily comparable to some of the dirtiest pictures of the day, as women and men both undress with relish. The musical numbers, too, are dotted with innuendos, from Ginger Roger’s opening piece (performed in a virtually see-through dress) to the wild gyrations that take place on the top of the aircraft. 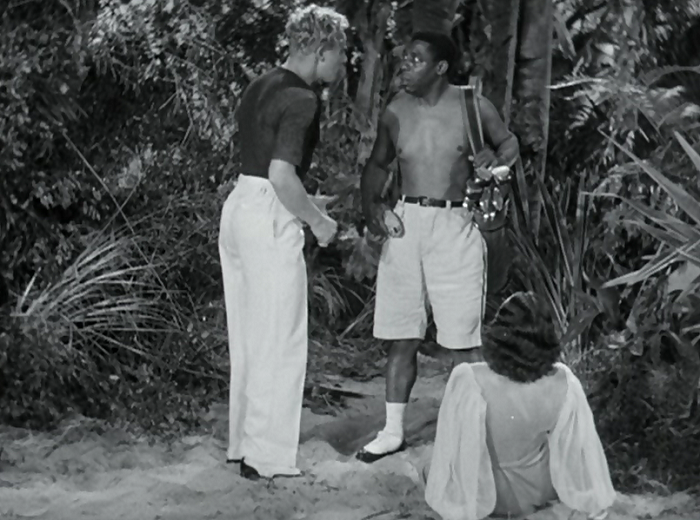 There’s even a lengthy scene on a tropical island where Belinha and Roger have out of body experiences that encourage themselves to wildly copulate. 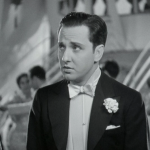 And that’s kind of the fun of Flying Down to Rio, which, save for its moments of dancing greatness, is a fairly worthy imitator of the Busby Berkeley mold. 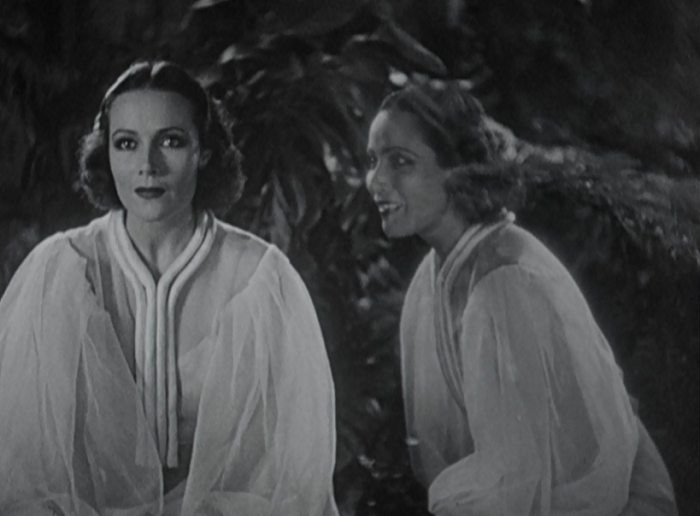 It may be less about the Depression than what Berkeley normally dealt with and more about the lure of flying and the lush exoticism of South America, but it’s a naughty jaunt that ends on a fairly literal high note. 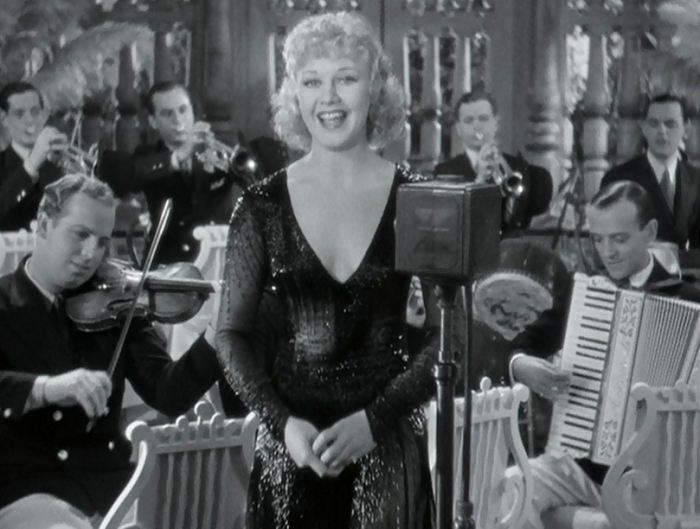 The first of nine film pairings of between Fred Astaire and Ginger Rogers. 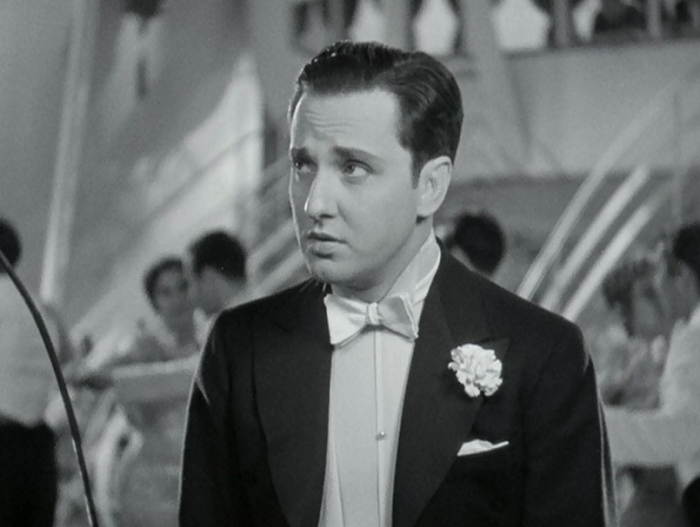 Their next is The Gay Divorcee (1934) which isn’t technically a pre-Code, but, hell, I’m covering it anyway. You can’t stop me! 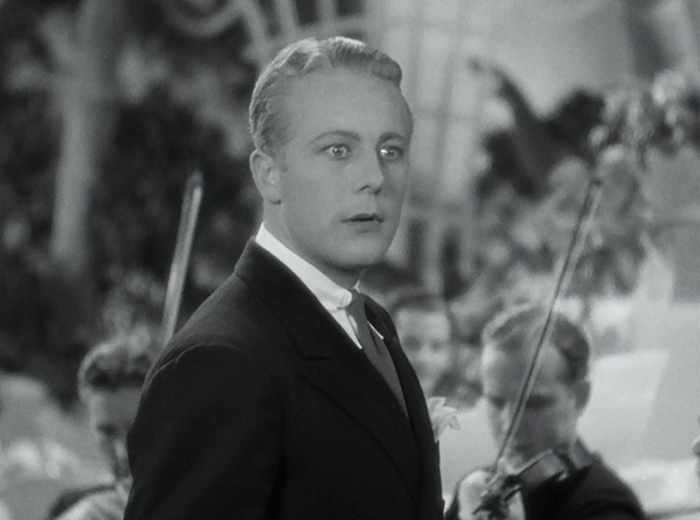 This movie is credited for saving RKO Studios from bankruptcy, with the rest of the Astaire and Rogers series keeping them in the black for the rest of the decade. Clarence Muse has a pretty funny cameo as a golfer. Who, uh, doesn’t wear a shirt for some reason. In original prints, the rather unspectacular “Orchids in the Moonlight” number was color tinted. And, for those of you who may have dreamed of dancing with Fred Astaire, he disdained social dancing, and could rarely be persuaded to do so. Dancing was work, after all. Greenbriar Picture Show, besides relating a charming story about an exhibitor making his way across the country selling the movie, also talks about how the movie was crafted as another attempt to romanticize and normalize air travel since the film’s producer, Merian C. Cooper, also sat on the board of Pan-Am. Dr. Macro has a ton of posters for this one. Musicals 101 dedicates an entire page to the team and their importance to film dancing. They’re also pretty down on Ginger, but I suppose that’s not surprising since Ginger seemed rather down on musicals. A Noodle in A Haystack has some great stills. Del Rio is showcasing a two piece bathing suit, which is almost scandalous if you hadn’t seen her in what little she wore in Bird of Paradise. In spite of the fact that RKO was in financial trouble, it spared no expense on Flying Down to Rio: music by Vincent Youmans (his final score before retiring due to health problems); dozens of dancers; second-unit photography in Brazil, which provided authentic backgrounds; enormous, dazzlingly white Art Deco sets representing hotels, ballrooms and nightclubs in Miami and Rio de Janeiro; and — as promised — the title number, with chorus girls dancing precariously on the wings of airplanes. The number was actually a combination of wide shots done in Malibu, and process shots in a hangar, with the planes suspended by wires only a few feet off the ground. 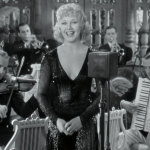 And finally, pay attention to Ginger Rogers’ song, “Music Makes Me” (Ginger had it in her contract that she would get to sing one solo song in every movie. She was afraid the studio was going to pay more attention to Fred). Lyrics include “my self control was something to brag about/now its the gag about town”. What do you think she’s referring to when she says “music makes me”? The beginning of a beautiful on-screen partnership. An impressive series of scenes are devoted to a dance known as the Carioca. 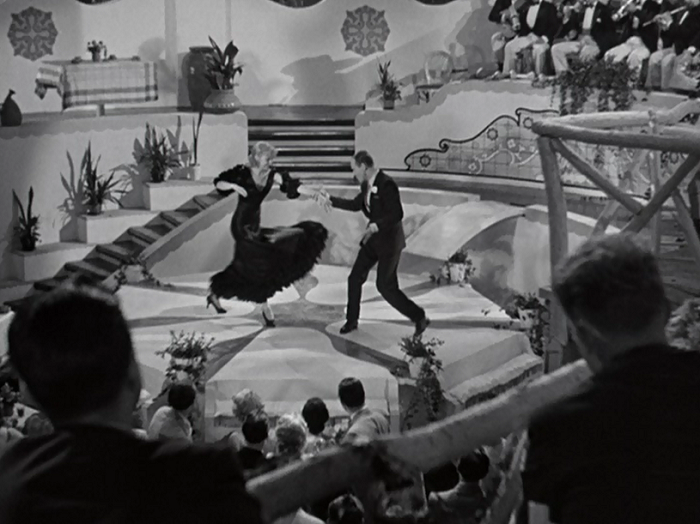 During this interlude that nimble-toed Fred Astaire and the charming Ginger Rogers give a performance of this Carioca. The music is delightful, and besides Mr. Astaire and Miss Rogers many other persons dance the extraordinarily rhythmic Carioca, one feature of which happens to be that of the couples pressing their foreheads together as they glide around the floor. This film is available on Amazon via streaming, DVD, and in the massive Astaire and Rogers Film Collection. It can also be rented from Classicflix. 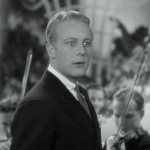 According to the Merian Cooper bio, Living Dangerously, Dorothy Jordan was originally cast as Astaire’s partner. Before filming began, Cooper married Jordan and they had to find someone else to dance with Fred. Wonder what would’ve happened to RKO and the movie musical genre if Jordan hadn’t turned her producer’s eyes to the altar? Wow, I hadn’t heard that. Jordan’s alright, but I think things definitely worked out for the better on that deal. Ginger is great, and I’m a big fan of hers as well! Does anyone know how Latin Americans, particularly Brazilians reacted to this film? No idea, I’m afraid. If you ever find out, let me know! I like this movie, but have hard time believing dolores was just 26 and gene was 24. By the way the version I saw of this movie, here in my country, Italy, was ALL coloured. Whoa, a colorized version? That would be an interesting sight.